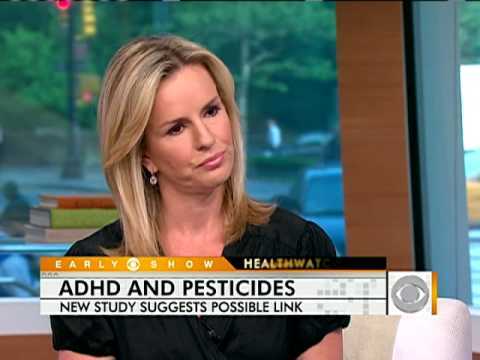 Debate ensues as a new study suggests a correlation between children with ADHD symptoms and the levels of pesticides in their bodies. Every Doctor, every Researcher, every Scientist knows that Artificial Hormones are a danger to all life on this planet. It is difficult to prove a product is Toxic to our health, when there are more than 80,000 products emitting similar toxic chemicals. We digest, we breathe, we recycle & we absorb greater amounts of these toxins year after year. Unfortunately we now have many Toxic chemicals in our bodies. Many of these Toxins are EDC’s. Endocrine Disrupter Chemicals (EDC’s) are synthetic or artificial hormones, the EDC’s can take the place of genuine hormones. From the day of conception Baby Fetus has receptors to catch hormones, liken them to a baseball or cricket glove. The “Catch” of the receptors of these EDC’s of artificial hormones can determine the child’s future.